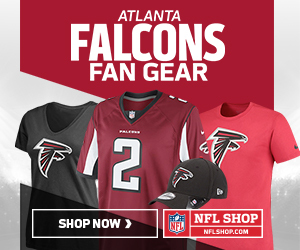 What Lies Ahead for the Falcons in the Draft? When the Atlanta Falcons entered the 2019 offseason, they had question marks at three of their five offensive line positions and a defensive line that hasn’t lived up to its lofty draft status. Since then, Atlanta added two new starters at guard in James Carpenter and Jamon Brown. Both figure to add some much needed physicality to a unit that’s relied on finesse the last four seasons. The front office also decided to give Ty Sambrailo, the guy who finished the season at right tackle, a handsome new payday, leading many to believe he’s the front runner to man that position in 2019 as well. Given these three moves and some of their other cost-effective signings on offense (Luke Stocker, Kenjon Barner, and resigning Justin Hardy), one would figure the Falcons have positioned themselves to address the defense heavily in the draft. That’s proved to be a wise strategy for Dan Quinn in the past (see Grady Jarrett, Keanu Neal, Deion Jones, De’Vondre Campbell, Takk McKinley, Damontae Kazee, Isaiah Oliver, and Deadrin Senat) so that begs the question—is more of the same in store for the Falcons in this year’s draft? This entry was posted in Atlanta Falcons, Falcons Draft and tagged Brian Burns, Clelin Ferrell, Cody Ford, Ed Oliver, Grady Jarrett, James Carpenter, Jamon Brown, Jonah Williams, Montez Sweat, Rashan Gary, Ty Sambrailo, Vic Beasley on April 8, 2019 by Matt Karoly.